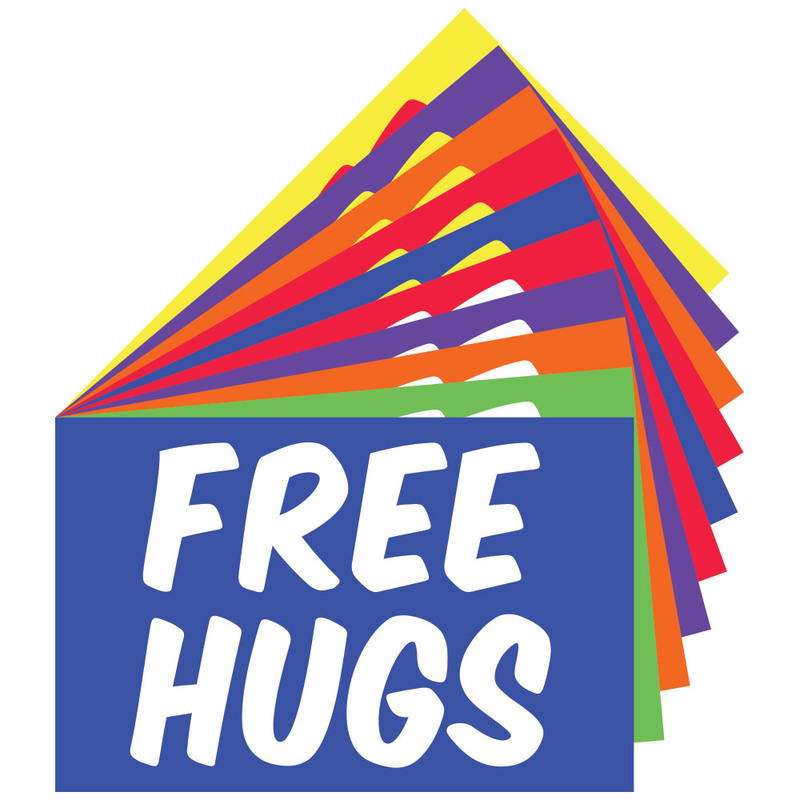 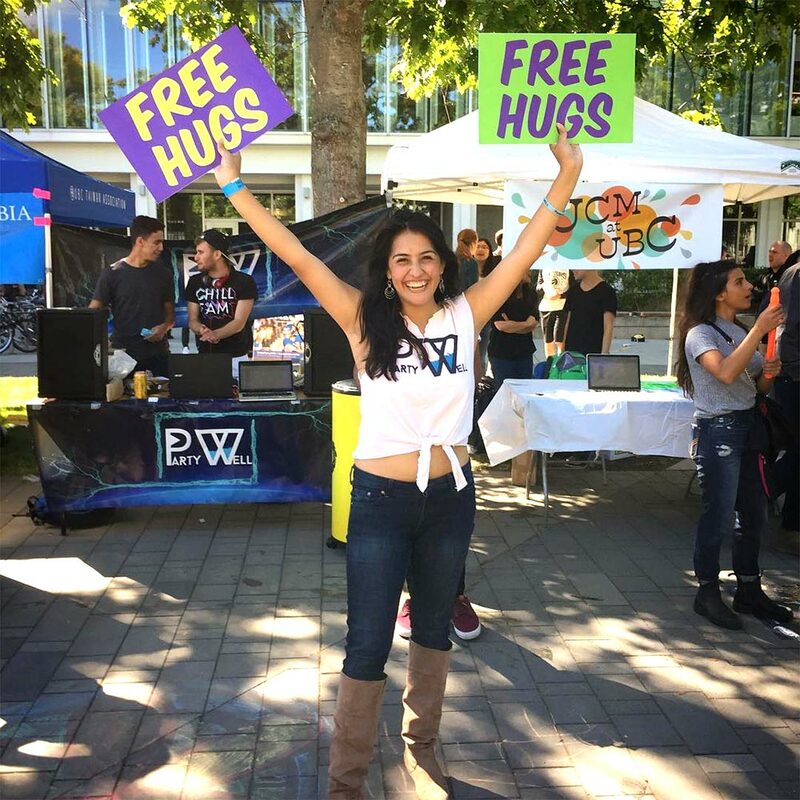 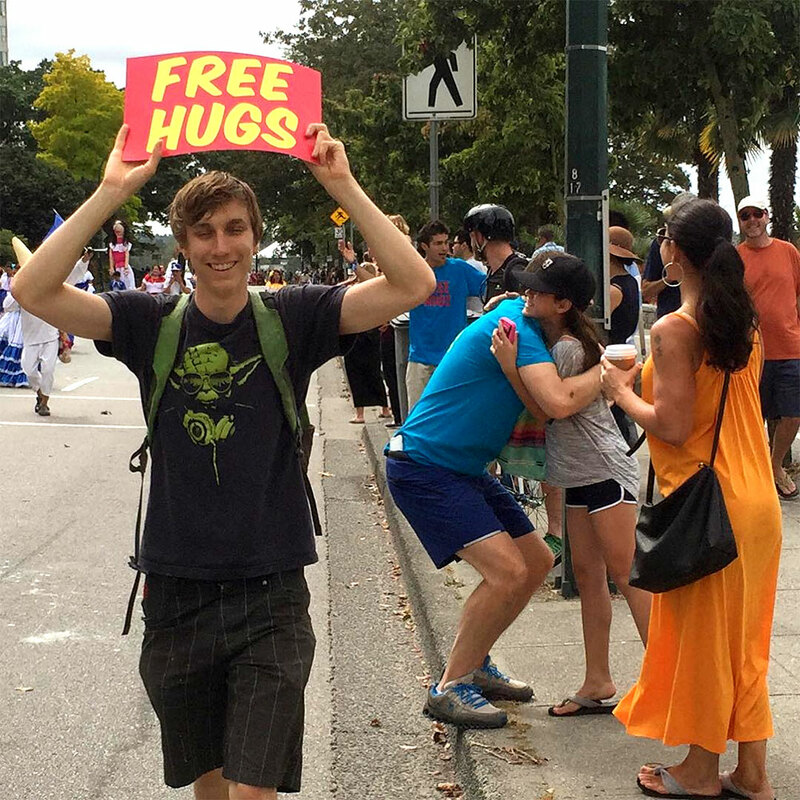 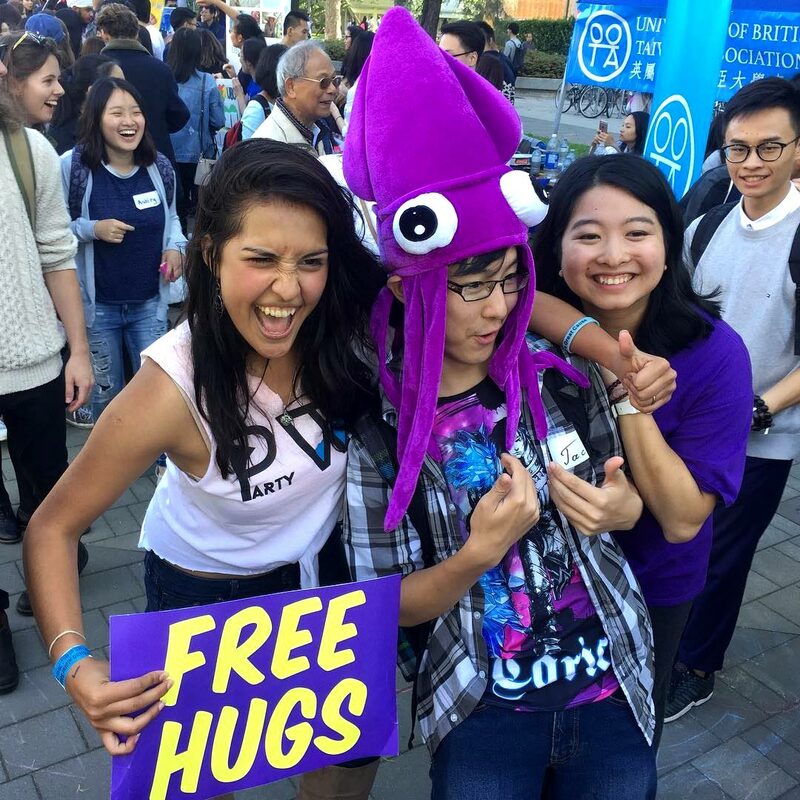 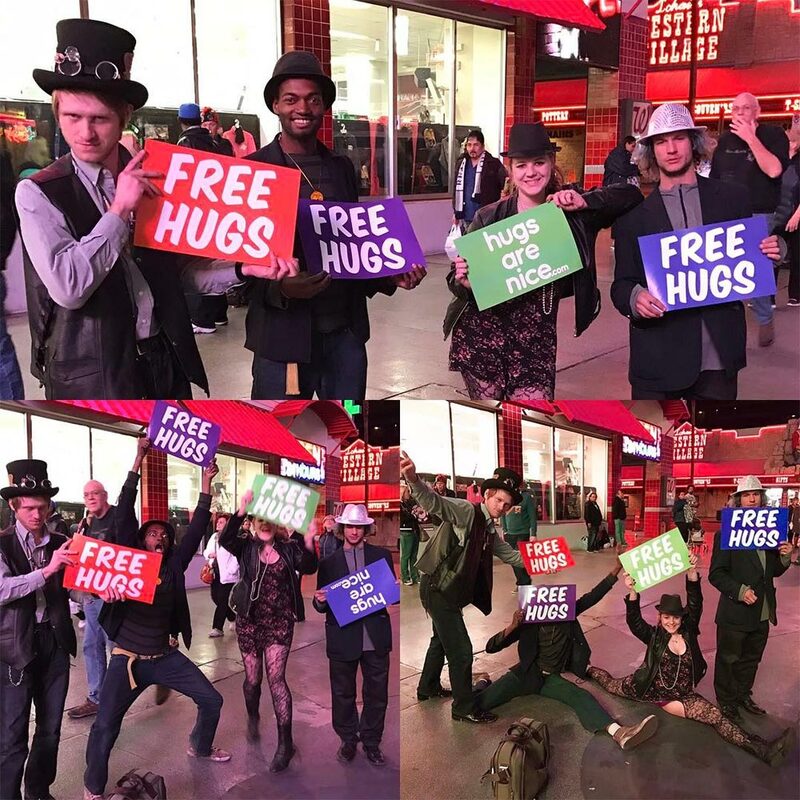 Yes, you can just take a magic marker and a piece of cardboard and make a “free hugs” sign, and if your smile is big enough, you’ll get tons of free hugs. 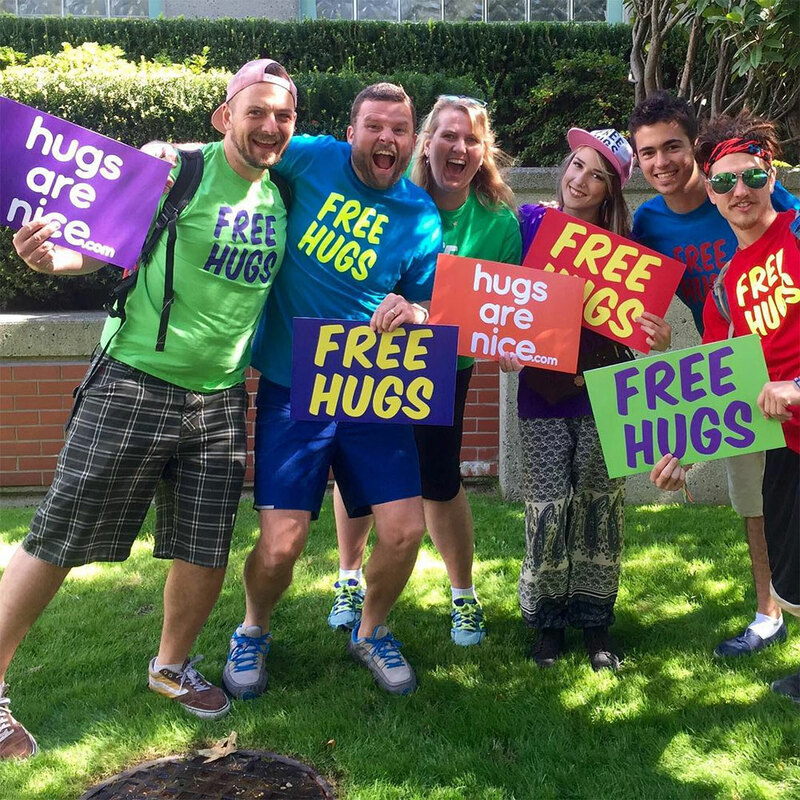 The cool thing about these signs is that they’re already made (click and ship baby), they’re bright and colorful to get attention quickly, and they have this good clean fun look about them that will tell people you’re a part of something special. 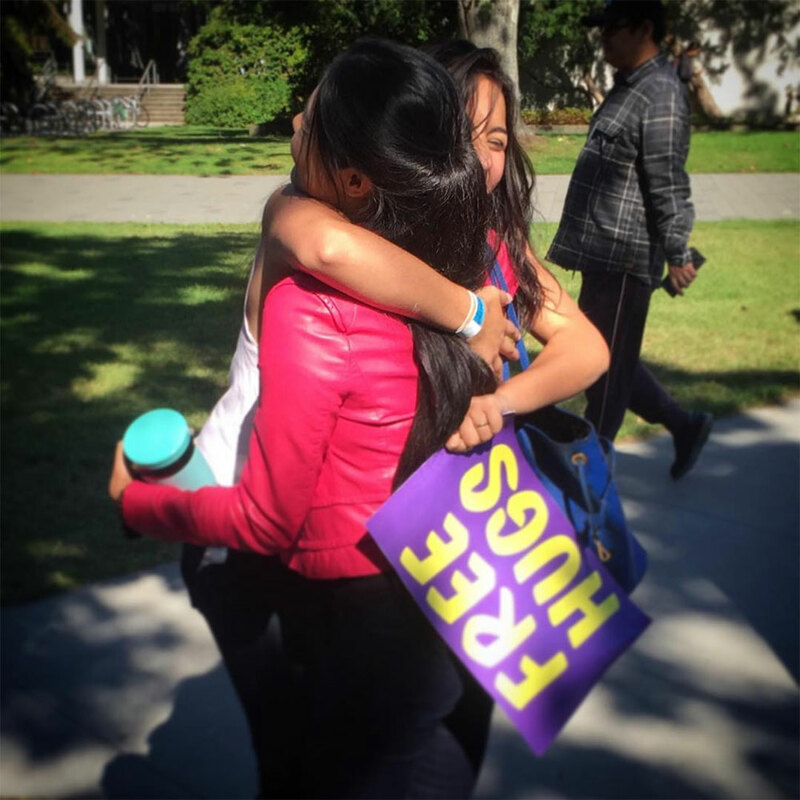 Why do you need more than one sign? 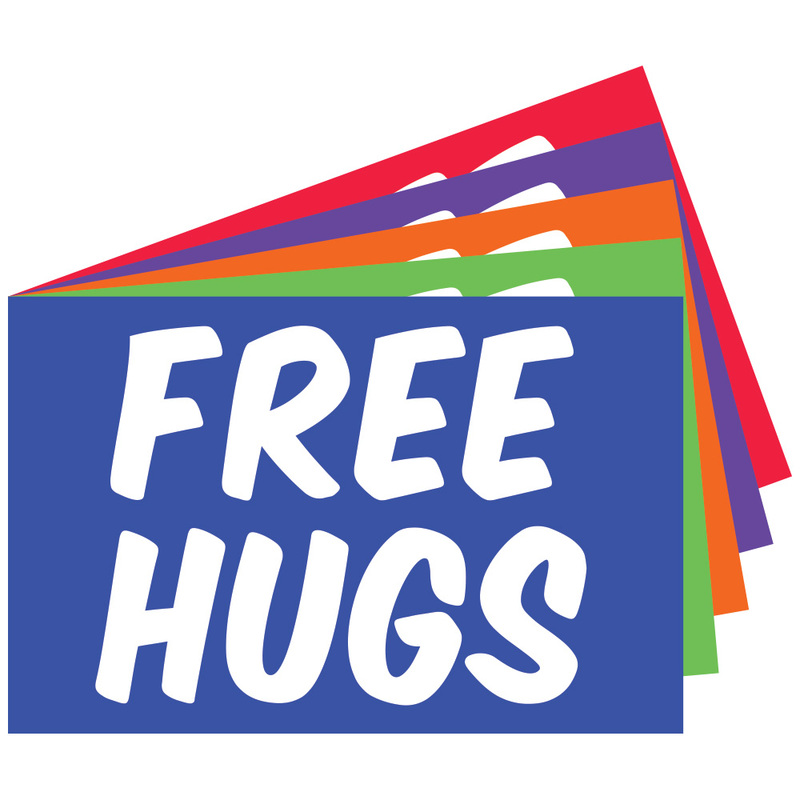 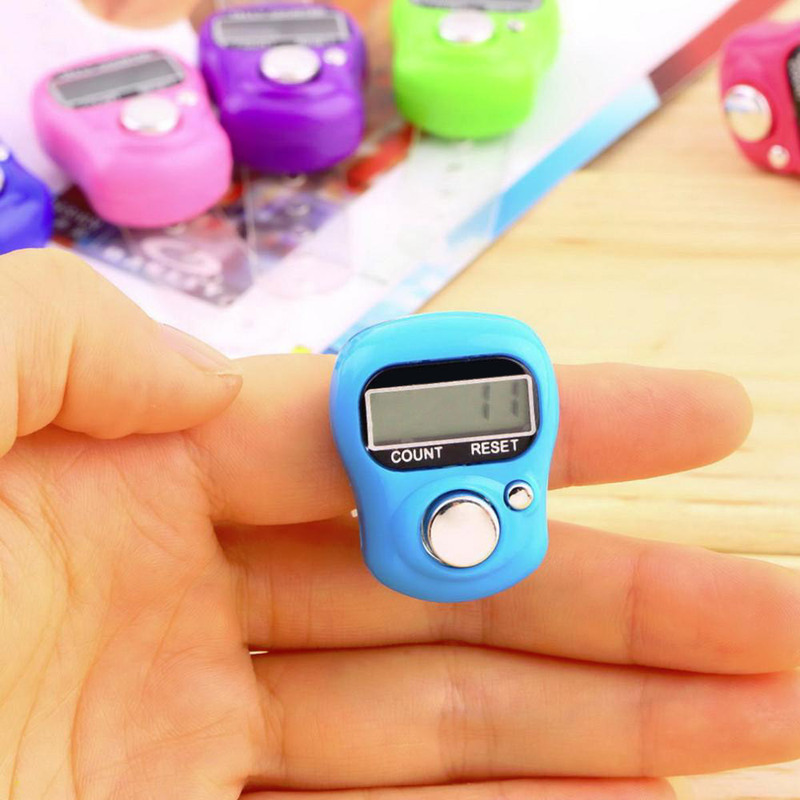 Glad you asked – first, they’re made of thick cardstock with a robust plastic feel, but they aren’t infallible and after a bunch of activity (namely hugs), they tend to get folds and eventually wear out. 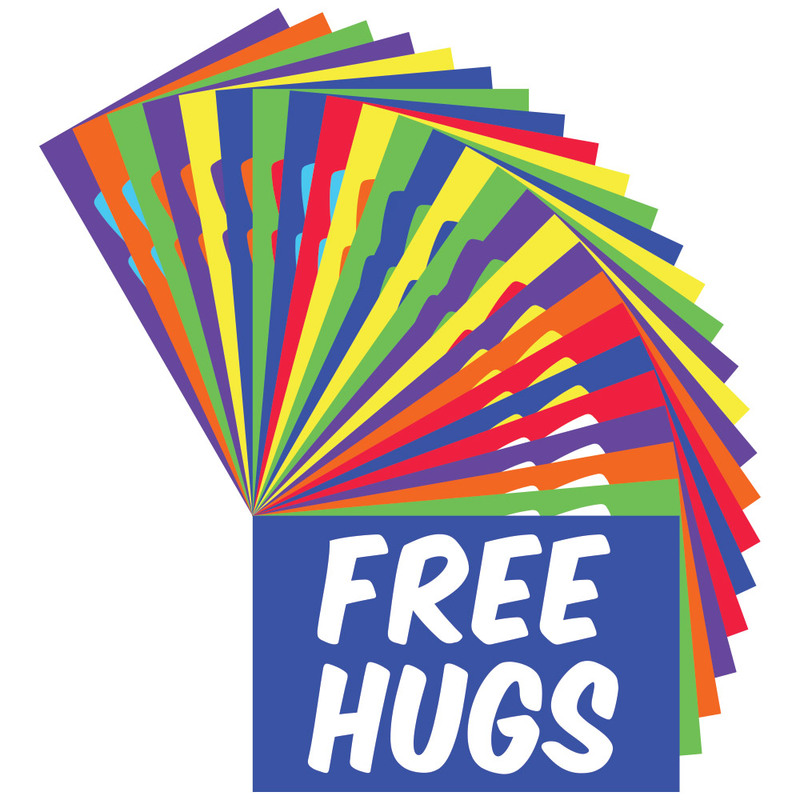 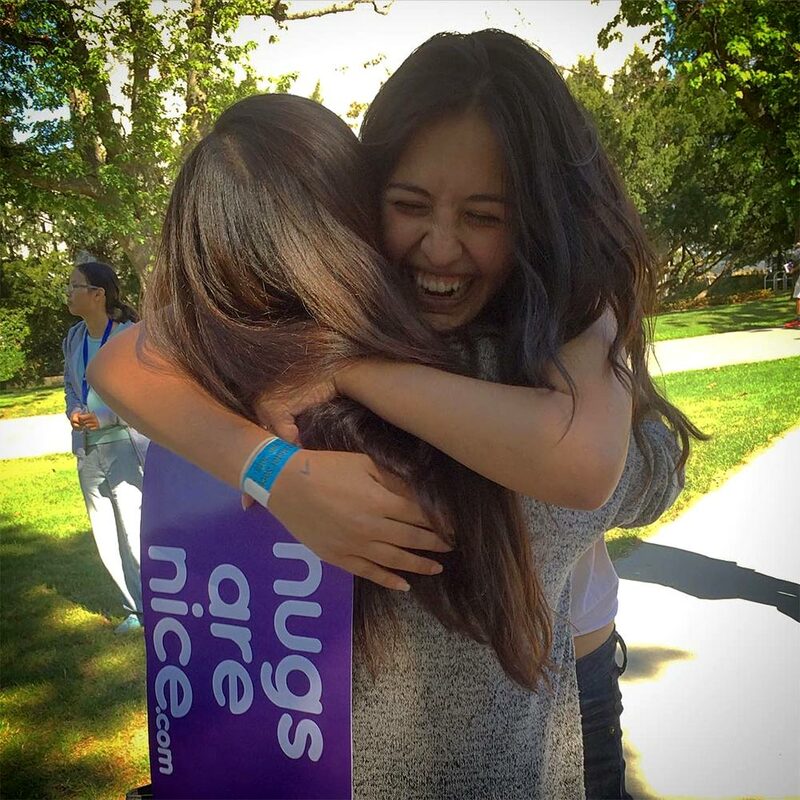 Second, every time we’ve offered hugs with one of these in our hands, someone has always asked “can I join you?”, and since we bring extras, our answer is always “sure, here’s a sign.” That’s when the fun really starts, so even if you’ve got a “free hugs” shirt or onesie on, you’re still going to want some signs nearby so that you’re ready when the team grows.